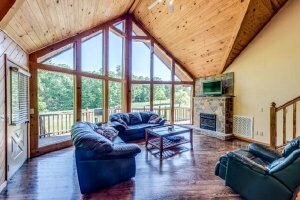 Cave Creek Cabin is a beautiful A-frame Cabin located in a serene and quiet gated community. 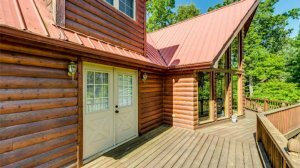 This cabin is a wonderful retreat for adults and children. 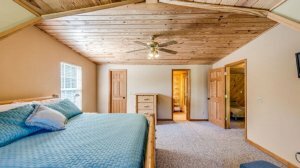 It is especially suited for families, reunions and small events. 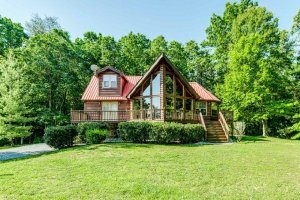 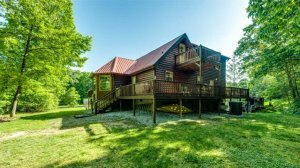 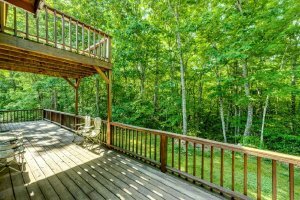 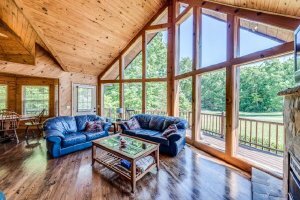 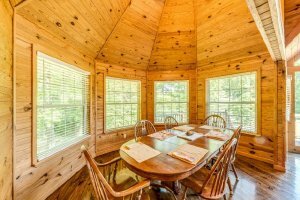 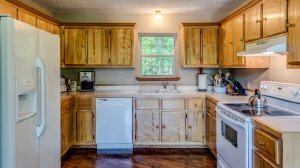 The open floor plan allows for everyone to enjoy each other and take in all the great views this cabin has to offer. 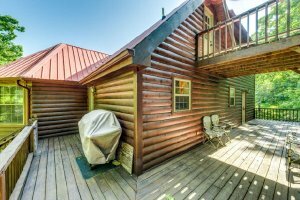 Catch a fantastic sunrise or sunset on one of the many decks this spacious cabin has to offer. 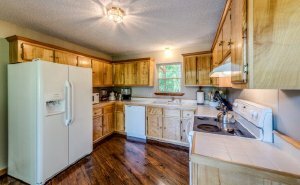 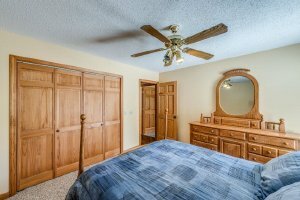 This 3 bedroom, 2 full bath has a perfect set up for families with children. 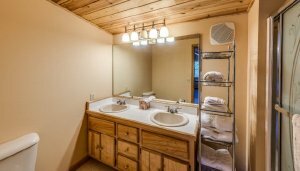 The upstairs has a large bedroom that will accommodate (5) easily has a full bath with shower and double vanity. 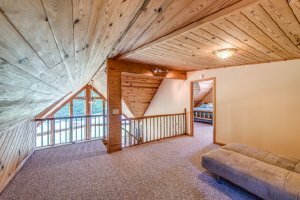 It also has a great bonus room with a pool table. 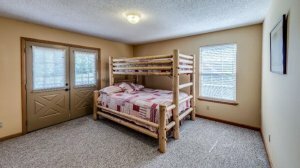 downstairs on the main floor are 2 bedrooms, one with a king bed and a one with a queen bed. 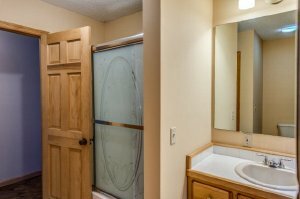 There is a bathroom on the main floor with tub, shower and vanity.